The next small grants deadline for the Minnesota Historical & Cultural Heritage Grants program is Friday June 13, 2014. Applications must be submitted via the grants portal by midnight on the deadline date. Contact the Grants Office, 651-259-3467, with questions. The historic YWCA building has been a locally significant social and cultural focal point for over 100 years. The majority of the work done was the replacement of old aluminum type H windows and transoms with wood double hung windows & transoms with wood combination storm/screen windows which more accurately reflect the character of the originals. This completed all the windows on the historic lobby level as well as on the basement levels. Additional re-pointing was done on the exterior of the building. Check out an oral history program in Minnesota that has captured memories of local history. Twins baseball history illustrated in Rice Park Peanuts statues. State of Montana, Montana Historical Society, Helena MT, seeks part-time Grants Contracts Coordinator. Deadline: June 13, 2014. Museum of Northern Arizona, Flagstaff AZ, seeks Registrar. Deadline: June 15, 2014. National Guard Bureau, Arlington VA, seeks Museum Curator (Field Programs). Contact Patricia Camenzend for more information. Deadline: July 3, 2014, close of business. Sitka Historical Society & Museum, Sitka AK, seeks Curator of Collections and Exhibits. Deadline: June 30, 2014. Contact Hal Spackman, Executive Director, 907-747-6455, for more information about the application process. Northfield Historical Society, Northfield MN, seeks contract Educator/Program Evaluator. Denmark Township Historical Society, Washington County MN, seeks part-time administrative staff with grant-writing experience. Contact Mavis & Bob Voigt or Carena Kelz for more information. Minnesota Military Museum, Camp Ripley MN, is proud to honor Minnesota Veteran Norm Arvidson as the June 2014 featured Veteran of the Month. Come to Little Falls MN to view the entire exhibit on Captain Arvidson. Call 320-616-6050 for more information. Steele County Historical Society, Owatonna MN, hosts Dora Eiger Zaidenweber, who will speak on her book "Sky Tinged Red" and her family's experiences in Bergen-Belsen and Birkenau, Thursday June 5, 2014, 6:30 p.m. Call 507-451-1420 for more information. Stearns History Museum, St. Cloud MN, hosts a traveling art exhibition by several prestigious South Dakota artists. "Blood Run Artworks of the Big Sioux" opens June 5 and closes August 18, 2014. Call 320-253-8424 for more information. Northfield Historical Society, Northfield MN, hosts Jim Stark, who will discuss the American Civil War's 1864 Battle of the Wilderness, in his presentation "Grant Goes East and Meets Lee on the Battlefield," Thursday June 5, 2014, 6:30 p.m. Call 507-645-9268 for more information. Blue Earth County Historical Society, Mankato MN, announces Story Time with the Hubbard Girls, Fridays June 6-August 29, 2014, 10:30 a.m. Katherine and Mary Esther Hubbard will join children on the Hubbard House lawn for stories, games, crafts, and more. Free. Call 507-345-5566 for more information. Historical and Cultural Society of Clay County, Moorhead MN, announces that they will commemorate the 70th anniversary of D-Day by offering free admission to all veterans to come and enjoy the exhibits, Friday June 6, 2014, 9 a.m. to 5 p.m. Call 218-299-5511 for more information. Blue Earth County Historical Society, Mankato MN, invites the public to a Victorian Lawn Party at the R.D. Hubbard House, Saturday June 7, 2014, 1-4 p.m. Call 507-345-5566 for more information. Preserve Minneapolis, Minneapolis MN, offers their popular Walking and Biking Tours, June 7-September 21, 2014. Most tours are $8/person. Pre-register online. Historical and Cultural Society of Clay County, Moorhead MN, features several events this summer highlighting ox cart trails and trade in the Red River Valley, beginning with the "Red River Entrepreneur, Antoine Blanc Gingras" exhibit, June 7-July 30, 2014. More events listed online. Call 218-299-5511 for more information. Landmark Center, St. Paul MN, announces the opening of their newest North Gallery exhibit, photographs from Israel by Jane Strauss. The exhibit runs June 8-29, 2014. Danube Historical Society, Danube MN, presents the Montevideo Community Band, Tuesday June 10, 2014, 7 p.m., Danube Depot Bandstand. Stearns History Museum, St. Cloud MN, invites the public to a Breakfast Club presentation by Executive Director Tim Hoheisel, who will speak on tobacco farming in Minnesota, Wednesday June 11, 2014, 9 a.m. Call 320-253-8424 for more information. Minnesota Machinery Museum, Hanley Falls MN, hosts Lauren Pelon, who will perform on approximately 20 ancient and modern musical instruments, Thursday June 12, 2014, 7 p.m. Call 507-768-3522 for more information. Steele County Historical Society, Owatonna MN, welcomes author Mike Eckers for a presentation on "Marines in the Pacific," Thursday June 12, 2014, 7 p.m. Call 507-451-1420 for more information. Isanti County Historical Society, Cambridge MN, host musicians Ellinor Fritz and Leonor Palazzo, who will play 19th century Swedish folk music, Friday June 13, 2014, 7 p.m. Admission: $10 at the door. Call 763-689-4229 for more information. Germanic Genealogy Society, South St. Paul MN, will offer a program for beginners at the Minnesota Genealogical Society, Saturday June 14, 2014, 9 a.m. to noon; registration begins 8:30 a.m. Cost: $10. Hennepin County Library, Minneapolis Central Library, hosts Thoreau scholar Corinne H. Smith, author of "Westward I Go Free: Tracing Thoreau's Last Journey," who will speak on Thoreau's month-long visit to Minnesota in the Spring of 1861, Wednesday June 18, 2014, 7-8:30 p.m. Call 612-543-8200 for more information. Pond Dakota Historical Society, Bloomington MN, hosts Colette Routel, Associate Professor at William Mitchell College of Law, who will provide a detailed account of the creation of the Minnesota bounty system in 1863, Sunday June 22, 2014, 2 p.m. Call 952-563-8674 for more information. Pond Dakota Heritage Society, Bloomington MN, hosts the John Philip Sousa Memorial Band, who will perform in period costume at the Historic Pond House, Sunday June 22, 2014, 7 p.m. Free. Call 952-563-8674 for more information. Preserve Minneapolis announces a new walking tour, "Queer History: A Tour of Gender and Sexuality in Minneapolis," Sunday June 22, 2014, 10 a.m. Tour guide will be author Stewart Van Cleve. Registration and more information available online. LeDuc Historic Estate, Hastings MN, host Brian Miller and Randy Gosa, who will perform "Songs from the Northwoods," Sunday June 29, 2014, 6:30 p.m. The program focuses on traditional songs from the Great Lakes area. Call 651-437-7055 for more information. 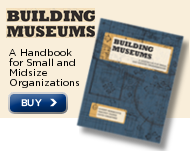 American Association for State and Local History offers a Project Management Workshop at The Henry Ford Museum, Dearborn MI, July 15-16, 2014. Cost: $475/members; $560/nonmembers. Register by June 15, 2014 to receive a $40 discount. The Heritage Initiative announces that the Feasibility Study for the proposed "North Woods and Waters of the St. Croix National Heritage Area" is now available. The public is invited to review the study and provide comments. Deadline: June 30, 2014, 5 p.m.
Kandiyohi County Historical Society, Willmar MN, announces their new affiliate, Norway Lake Lutheran Historical Association, New London MN. Each society will remain its own independent entity, but they will work together in the discovery, collection, preservation, and interpretation of Kandiyohi County history. For more information about the affiliate program, contact Jill Wohnoutka, 320-235-1881. Many Minnesota museums are participating in this year's Blue Star Museums program. This program offers free admission to military personnel and their families from Memorial Day through Labor Day 2014. View a list of participating Minnesota museums online. Rice County Historical Society, Faribault MN, announces that in addition to their regular weekday hours, they will be open Saturdays, 10 a.m. to 2 p.m., from Memorial Day to Labor Day. Call 507-332-2121 for more information. The Friends of Whitewater State Park has organized exclusively for charitable, scientific, and educational purposes. Learn more at the Whitewater State Park Family Outdoor Fair/National Get Outdoors Day, June 14, 2014, noon to 3 p.m.
Is your organization eligible for Transportation Alternatives funds? Check out this useful website for definitions and descriptions. At present, historical organizations utilize a number of methods for managing archival collections information, with the one common thread being the use of the PastPerfect records system. Although PastPerfect has provided a good starting point for this process, it is increasingly apparent there are serious and critical issues with the current PastPerfect software platform. In addition, current archival collections management platforms have changed rapidly in the past few years. This may be a good time to look into alternatives to PastPerfect which may offer a more stable, user friendly data platform that allows users to search, access, and reuse archival collections management data more easily. The Collections Management Systems Task Force is charged with evaluating the current archival collections management systems landscape and developing recommendations. Please answer these questions to help us understand Minnesota local history organizations' collection management software needs. For your participation we will share these results with you, just give us your email in the last question.